Immaculate Conception - We must not confuse the Virgin Birth of Christ with the so-called Immaculate Conception. Many Christians incorrectly believe that the Immaculate Conception has reference to Christ. Instead, the Immaculate Conception is the teaching of the Roman Catholic Church that Mary, the mother of Jesus, was herself conceived in her own mother’s womb free from sin. The Roman Catholic Church teaches that Mary was not only free from inherited sin by the Immaculate Conception, but neither did she commit any personal sins in her lifetime. Thus, she was in fact as sinless as her son Jesus. It’s important to remember that this idea of the Immaculate Conception of Mary did not become an official doctrine of the Roman Catholic Church until 1854. The Virgin Birth is mentioned by only two Gospel writers. Matthew and Luke contradict each other's accounts. Other N. T. writers apparently knew nothing about it. Many similar stories are found in pagan religions. The Virgin Birth has no practical and spiritual value. It requires belief in a biological miracle. Modern science would not submit to this doctrine, but of course, they can’t even tell you what the weather is to be tomorrow accurately. "But I suffer not a woman to teach, nor to usurp authority over the man, but to be in silence. For Adam was first formed, then Eve. And Adam was not deceived, but the woman being deceived was in the transgression. Notwithstanding she shall be saved in childbearing, if they continue in faith and charity and holiness with sobriety." Mary is shown to be in this line of mankind in the Gospel lineage records. Mary therefore had need of a Savior as the rest of mankind. The "Sign" to the House of David must be a miracle of cosmic proportions (Isa. 7:11). "Ask thee a sign of the LORD thy God; ask it either in the depth, or in the height above." The Heb. term for "the virgin" (ha-almah) was the most appropriate available to Isaiah if Mary was the mother referred to. Martin Luther's challenge: "If any Jew or Christian can prove to me that in any passage of Scripture the word almah ever means a married woman, I will give him 100 florins, though God alone knows where I shall get them!" The context speaks of the deity of the Christ child (Isa. 8:8,10; 9:6,7). "And he shall pass through Judah; he shall overflow and go over, he shall reach even to the neck; and the stretching out of his wings shall fill the breadth of thy land, O Immanuel." "Take counsel together, and it shall come to nought; speak the word, and it shall not stand: for God is with us." Immanuel Cannot be the Child of Isaiah (Isa. 8:3) or of Ahaz. "And I went unto the prophetess; and she conceived, and bare a son. Then said the LORD to me, Call his name Mahershalalhashbaz." "Now all this was done, that it might be fulfilled which was spoken of the Lord by the prophet, saying, Behold, a virgin shall be with child, and shall bring forth a son, and they shall call his name Emmanuel, which being interpreted is, God with us." Isaiah 53:2 "For he shall grow up before him as a tender plant, and as a root out of a dry ground: he hath no form nor comeliness; and when we shall see him, there is no beauty that we should desire him." root out of parched ground A Nazarene, not respected by Galileans. no stately form or majesty A King in humiliation. appearance Men were so spiritually blind, their judgment was not even near righteous. Jeremiah 31:22 "How long wilt thou go about, O thou backsliding daughter? for the LORD hath created a new thing in the earth, A woman shall compass a man." Most contemporary Bible teachers understand the passage to mean that Israel, contrary to the practice of women, will woo the LORD, her divine husband. Older expositors almost unanimously took the verse to predict the virgin birth of the Messiah. Their arguments are: (1) The "new thing on earth" would require an event of unprecedented character. (2) The word "create" implies an act of divine power. (3) The term "woman" demands an individual rather than the entire nation. And (4) the word "man" is properly used of God (Isa 9:6). Makes Clear the Dignity and Sacredness of Human Physical Life, and Proves that Sin is not Essential to it. Satisfies Man's Desire for a Savior Truly Human, for it Assures us that we are Dealing with a God who Knows Human Life by Personal Experience. (Phil. 2:5-11) "Let this mind be in you, which was also in Christ Jesus: Who, being in the form of God, thought it not robbery to be equal with God: But made himself of no reputation, and took upon him the form of a servant, and was made in the likeness of men: And being found in fashion as a man, he humbled himself, and became obedient unto death, even the death of the cross. Wherefore God also hath highly exalted him, and given him a name which is above every name: That at the name of Jesus every knee should bow, of things in heaven, and things in earth, and things under the earth; And that every tongue should confess that Jesus Christ is Lord, to the glory of God the Father." 1 John 4:1-3 "Beloved, believe not every spirit, but try the spirits whether they are of God: because many false prophets are gone out into the world. Hereby know ye the Spirit of God: Every spirit that confesseth that Jesus Christ is come in the flesh is of God: And every spirit that confesseth not that Jesus Christ is come in the flesh is not of God: and this is that spirit of antichrist, whereof ye have heard that it should come; and even now already is it in the world." 2 John 7 "For many deceivers are entered into the world, who confess not that Jesus Christ is come in the flesh. This is a deceiver and an antichrist." Among honest and careful students of the Gospel records, there can be, no possible question as to the claims of our Lord in the days of His flesh. The same Apostle who wrote, "No man hath seen God at any time." (John 1:18), also records the word of Christ to Philip, "He that hath seen Me hath seen the Father" (John 14:9), And Thomas, falling down His feet in the abandon of worship, renders the final. :verdict of those who really knew Him, "My Lord and my God" (John 20:28), Scrutinize asI you will the subsequent history of these men, you will never find any note of uncertainty in their minds about God. Others might doubt or even deny the Divine Existence. But these men knew there was a God in heaven. For the space of three years they had walked and lived with Him, They had seen His face, had heard His Voice, and had believed. how infinitely gracious! It is as if, in this final historic word from heaven, He would leave for us who believe one last and unspeakably precious reminder of His Incarnation, lest we forget that the Great God with whom we have to do is also JESUS, "the root and offspring of David," flesh of our flesh, and bone of our bone. "Jesus - O how sweet the name! Jesus - every day the same! Jesus - let all saints proclaim, the worthy name of Jesus!" Man has never yet become all that he ought to be. He has never reached the ideal that God has in mind for a redeemed humanity. In fact, man has not even reached his own ideals, More than that, the wisest men unaided by divine revelation have not even been able to agree on what the ideal ought to be. Of course, the moral philosophers will talk learnedly about. their "categorical imperative," tell you to be good, to follow after righteousness, and "be a man." But what is "goodness?" What is "right?" What is "a man?" Well, God has answered all such questions forever by the Incarnation. of His Only Begotten Son. The Son of God Incarnate reveals WHAT WE OUGHT TO BE RIGHT NOW. The New Testament presents Him not only as our Divine Redeemer, but also as our Perfect Example. We Christians ought: to walk, writes John, "even as He walked" (1 John 2:6). And Peter adds that, "Christ: also suffered for us, leaving us an example, that ye should follow His steps" (1 Peter 2:21), It is a staggering ideal, and someone may be saying, But we do not walk as He walked. And we must all make that bitter, confession. But as we make our confession, if we are true believers, we must keep on affirming that we ought to walk as He walked. The ideal may be high, infinitely so, but: we dare not abandon it. I am glad, however, this is not the whole story. The Son of God Incarnate reveals not only what we ought to be here and now, but also WHAT WE SHALL BE HEREAFTER, "It doth not yet appear what we shall be," No, you have never seen. a Christian who is all that he ought to be. We know that, if we know anything. But here is something else we know: "We know that, when He shall appear, we shall be like Him" (1 John 3:2). Almost unbelievable, but true! We shall be like Him, the Lord of Glory. Let us lay hold of the promise and remember, as someone used to say, "If we expect to he like Him. up there, we ought to begin to look a little like Him down. here and now." Sometimes we get utterly discouraged with humanity as we see it in this present evil world, even with those who profess to be followers of Christ, and worst of all, discouraged with ourselves. What failures we are, all of us. Whenever I get to looking too much at myself, and get discouraged with the situation, there is a passage in the second chapter of Hebrews to which I resort. In verse six the writer begins with a query that shows he understands my frame of mind "What is man that Thou art mindful of him?" Then he goes back to the original purpose of God and draws a wonderful picture of man as the Crown and Lord of creation. But look at him now - is what we feel like saying. The Holy Spirit puts the thought in kinder words: "But now," He says, "we see not yet all things put under him." How true. With all our boasted progress, not much has been accomplished. And how often we see our painful gains swept away in a moment of time. We wonder, we get discouraged. But here is God's great antidote for all discouragement (v. 9): "BUT WE SEE JESUS. . .CROWNED WITH GLORY HONOR." And He, the Man Christ Jesus enthroned in the heavens, is the earnest and guarantee of what we shall be. Let us keep our eyes steadfastly on Him, and the vision will not only sweep away all our discouragement, but will change us more and more into the image of what we shall be some day, by His grace. The Ideal is beyond our power, yes, but not beyond the power of Him who sits upon the Throne of Grace. I pause here for a moment to clear away any possible misunderstanding. There is only one way to have experience, and that is to have experi­ence! This is what I mean: You may read numberless books on poverty, you may investigate actual conditions among the poor, you may study thousands of cases, become the greatest sociological authority in the world. But you will never know poverty and experience poverty until you have become poor in fact and live a life of poverty. Likewise we may say reverently, but on the authority of the Word, that not even an Almighty God, with all His omniscience, can know human life by experi­ence without being born into human life and living in human life. To this end, He that was rich became poor, He that was in the form of God took the form of a servant. But why, it may be asked, did God need this experience of human life? God needs nothing in Himself, the need was ours! The first reason is given by the writer of Hebrews (2:17): "Wherefore in all things it behooved Him to be made like unto His brethren." Here we have the assertion of His human experience and its reality. Now for the reason: Hebrews 2:17-18, "That He might be a merciful and faithful High Priest. For in that He Himself hath suffered being tempted, He is able to succor them that are tempted," To this end He was made in all things like unto us, sin apart. Have we suffered? He suffered, more than tongue can tell, Have we been tempted? He was tempted in all points like as we are. Have we tasted the bitterness of poverty? He had nowhere to lay His blessed head. Have we felt the lash of slander? He could say, "Reproach hath broken my heart." Have we known the heartbreak of friends proved false? He too was "wounded in the house of His friends." Some of you may be passing through deep waters just now, and in your distress you may find yourself wondering how God in far-off splendor can possibly be touched with the feeling of your burdens. In such a time, do not forget that the God with whom we have to do has lived our life; and there is no crisis of the soul (sin excepted) where He has not gone before us. Like the Good Shepherd that He is, when He putteth forth His sheep, He "goeth before them." - All the way! Perfectly!!! Still another reason why we needed a God with the experience of human life is set forth in John 5:22 and 27. Our Lord is the speaker. "For the Father judgeth no man," He declares, "but hath committed all judgment unto the Son." Surely a most astonishing claim, Why should the Father abdicate the judgment throne and reserve all judgment for the Son? 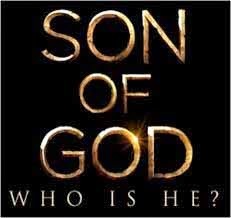 Is it because the Son is somehow wiser than the other Persons of the Godhead? Not at all. The true explanation appears in verse 27: "The Father hath given. Him. authority to execute judgment because He is son of man" (No article in Greek). Of the three eternal Persons of the Triune God, only the Son has passed through the experi­ence of human life. O, how wonderful and comforting to know that on the Judgment Seat before which we must all appear, and on that Great White Throne before which the lost must stand, there will sit One who is both Son of God and Son of Man. This is the glory of the Incar­nation: It gave to us a Savior, and to the world a Judean, who knows the problem of human existence through personal experience. Surely this is grace, grace beyond compare. - Grace even in the midst of judgment. "I am come that they might have life," our Lord says. But how is this: Life of God made accessible to sinners? Here is the answer: "I am the Good Shepherd," He continues, "The Good Shepherd giveth His life for the sheep." The Divine Shepherd must first give His life for the sheep, in order that He may give His life to the sheep. The way of life for us was the way of death for Him. Now we are able to trace the connection between the incarnation of God and abundant life for sinners: If no Incarnation, no death upon the Cross; If no death, no atonement for sin; if no atonement, no abundant life for sinners. The second passage even more clearly declares this connection. John 6:51, "I am the living bread which came down from heaven; if any man eat of this bread, he shall live forever." Our Lord said that. Have you ever noticed that God the Father is never called the Bread of Life? Nor is the Holy Spirit. Only the second Person of the Godhead is named the Bread of Life. And even He is named thus only after He enters the world by Virgin Birth. Why is this? Let us read on for the answer: "And the Bread that I will give," He says, "is My flesh, which I will give for the life of the world." Here is the reason why our Lord points to Himself alone as the Bread of Life: Only an incarnate God could give His flesh in atoning death for the world. No incarnation, no death; no death, no atonement; no atonement, no Bread of life for dying men. Without a God made flesh, no eternal life for sinners. I begin here by laying down three axiomatic propositions: First, the wages of sin is death. Second, the experience of death involves the separation of the body from the spirit. Third, the eternal God, because He is pure spirit, could not die. Therefore, in order that God might experience the reality of death in all its fullness, He must become incarnate, clothe Himself in a body of flesh and blood. The path of truth here is narrow. God could not die. But God Incarnate could die, and did die for our sins. Only an Incarnate God could be the Saviour of sinners. Bearing these facts in mind, let us turn to the book of Hebrews. The first chapter describes the infinite glory of the Second Person of the Triune God. He is the Maker .of the worlds, the Upholder and Heir of all things. Of Him it is said, "Thy throne, O God, is forever and ever." The angels are His and worship at His feet. But now, in chapter two, we come to an amazing revelation. We see this glorious Person "made a little lower than the angels" "Why should the Eternal Son, who is above all angels, be made lower than the angels?" The answer is in the same verse: He was made thus "for the suffering of death. . .that He by the grace of God should taste death for every man" (Heb. 2:9). It is utterly impossible, therefore, for the wise of this world to understand the Birth of Christ as an isolated event in history. The goal of Bethlehem was the Place of the Skull. The mystery of Virgin Birth can be read only in the blazing light of Calvary. The Incarnation of our blessed Lord was the first historic step of the eternal God on His solemn march to the judgment of the Cross. The Manger and the Cross are joined inseparably in the redemptive purpose and plan of God. And "what God hath joined together let no man put asunder." We have no right to gather people into our churches merely to talk about the birth of Jesus. The birth of Jesus cannot save the soul of a man. It is not the preaching of the Manger, but the preaching of the Cross, which is the power of God unto salvation. This does not mean that we should cease preaching the glorious good news that the "Son of God is come," made of a woman, in the likeness of men. But it does mean. that we must tell men why He came -- to save sinners from their sins by His death upon the Tree. He was born to die! Until we see this, we know nothing. "For he is not a man, as I am, that I should answer him, and we should come together in judgment. Neither is there any daysman betwixt us, that might lay his hand upon us both" (Job 9:32-33). 1. The complaint of Job, recorded in the first text, voices the universal feeling of our sinful race in the presence of an infinite God. The chasm between such a God and man the finite creature has seemed at times sc v3st as to be unbridgeable. And men cry with Job, "He is not a man. . .Neitner is there.any umpire betwixt us, that he might lay his hand upon us both." 3. The third passage declares the crucial importance of God's act at Bethlehem. The writer is John, great apostle of love, and he writes in words which cannot be misunderstood: "Whosoever confesses not that Jesus Christ is come in the flesh is not of God." On this point there can be no talk about mutual compromises, sharing one another's viewpoints, or some common denominator of faith. As to this great Christian fact, men are either right or wrong, of the Day or of the Night, either in or out, either saved or lost. Christianity and the Incarnation of God in Christ, to John, stand or fall together. 1. GOD BECAME INCARNATE IN CHRIST IN ORDER THAT HE MIGHT DIE FOR SINNERS, AND THUS SAVE THEM FROM THEIR SINS. 2. GOD BECAME INCARNATE IN ORDER THAT HE MIGHT SHARE WITH MEN HIS OWN ETERNAL LIFE. 3. OUR LORD BECAME INCARNATE IN ORDER THAT HE AS GOD MIGHT KNOW HUMAN LIFE FROM THE INSIDE BY PERSONAL EXPERIENCE. 4. GOD BECAME INCARNATE IN ORDER THAL HE MIGHT REVEAL IN HIMSELF THE IDEAL HUMANITY. 5. GOD BECAME INCARNATE IN ORDER THAT HE MIGHT PROVIDE FOR US AN EVERLASTING REVELATION OF HIMSELF IN VISIBLE HUMAN FORM. More on each to follow in the next 5 articles. "I am the living bread which came down from heaven: if any man eat of this bread, he shall live for ever: and the bread that I will give is my flesh, which I will give for the life of the world." "And Jesus said unto him, Foxes have holes, and birds of the air have nests; but the Son of man hath not where to lay his head." Take into account that this is the King of the Kingdom. Seems as though the Kingdom is hidden. The prosperity Gospel is naked before the Lord Who lived in poverty on earth. "And now, O Father, glorify thou me with thine own self with the glory which I had with thee before the world was." The glory of the Eternal Sonship, His essential glory, for which He prays? But this He had not renounced, nor could the Father give it. It belonged to Him His one of the Persons of the Godhead, eternal, unchangeable. The glory for which he prayed could be only the glory which was His due as the Father's visible Image, the Redeemer, the Administrator of His government, the appointed Lord over all His works. This glory could not, be manifested till He had finished the work the Father had given Him to do. Not till His resurrection could He appear in the glory which was His when, anterior to Creation, He stood before the Father as the predestined Heir of all, and His Representative to all creatures. He could not enter into this His glory till made immortal. Then could He sit at the Father's right hand (Luke 24:26). It was this glory which the Father gave Him that He could give to His disciples John 17:22. Of this He could make them partakers, but not of His essential glory. "Who, being in the form of God, thought it not robbery to be equal with God: But made himself of no reputation, and took upon him the form of a servant, and was made in the likeness of men:"
All the above changes were temporary except the last, which is permanent. He has ascended back into heaven, received back all His riches, is again clothed with the glory of God, is once more on the throne of the universe. But He retains the human form. Having assumed our human nature and form, He takes it back into heaven, so that as man He sits upon the Throne of God. "When they heard these things, they were cut to the heart, and they gnashed on him with their teeth. But he, being full of the Holy Ghost, looked up stedfastly into heaven, and saw the glory of God, and Jesus standing on the right hand of God, And said, Behold, I see the heavens opened, and the Son of man standing on the right hand of God." He did not cease to be God when He became man. He did not cease to be man when He reassumed the glory of God. He carried the same divine personality through all the changes incident to His Incarnation. cf. the blasphemy of Russellism. Jehovah's Witnesses blasphemously teach that the Lord Jesus Christ did not rise from the dead. Russellites say his body either dissolved into gases or is still preserved somewhere (one man infected with Jehovah's Witness beliefs told me that the body decayed). Meaning of the Terms "Incarnate" and "Incarnation"
Words used of ordinary men to describe the beginning of human existence. It was not difficult to describe the entrance of ordinary men into the world. Of such we say they are "conceived" and "born." Such terms express origin. It was not so as to describe the entrance of the Son into human existence. The New Testament writers had to find terms which would describe, not the beginning of personal existence, but the coming into the world of human life on the part of one who as God had always personally existed. Very seldom do the New Testament writers speak of Christ as having been "conceived" or "born", but they almost exhaust the resources of human language in the effort to make emphatic the great fact that He is different from ordinary men as regards His entrance into human life. Matt. 20:28 "Even as the Son of man came not to be ministered unto, but to minister, and to give his life a ransom for many." Gal. 4:4-5 "But when the fulness of the time was come, God sent forth his Son, made of a woman, made under the law, To redeem them that were under the law, that we might receive the adoption of sons." 1 Tim. 3:16 "And without controversy great is the mystery of godliness: God was manifest in the flesh, justified in the Spirit, seen of angels, preached unto the Gentiles, believed on in the world, received up into glory." This last verse points out the fact that God is also a "tri-unity." This categorical statement may appear illogical to any reader who is confronted for the first time with this truth. The foregoing discussion makes such an effort to emphasize the unity of God, that the reader is now surprised to discover something about God that seems to be in contradiction. At first glance, the title "tri-unity" may appear to be a mistake, since the more common term is "trinity." But the expression "trinity" lays emphasis upon the three persons in the Godhead to the exclusion of the one essence, whereas the word "tri-unity" includes both ideas, and therefore insists upon a trinity of persons in the one divine essence. The importance of this divine reality dare not be underestimated. Of all the propositions relating to God, this one is the fundamental of the fundamentals of the Christian faith. This differentiates the Christian faith from all other faiths. Without this doctrine there could be no divine Savior and no divine Holy Spirit. Without this truth there could be no incarnation of God in human flesh. There could be no transaction between persons of the Godhead in atonement. And there could be no God of eternal love. It follows that all the distinctive truths of Christianity are wrapped up in this great fact. "Without controversy great is the mystery of godliness: God was manifest in the flesh, justified in the Spirit, seen of angels, preached unto the Gentiles, believed on in the world, received up into glory" (1 Tim. 3:16). When Christ became flesh, the tri-unity of God came into full view. In the doctrine of God, tri-unity comes last. This marks progress in revelation. This progress is not from imperfection to perfection, for at every stage in revelation the body of truth was perfect, though at that point it was incomplete. God revealed truth in the same proportion that men were prepared and able to receive it. When at last Christ came, men were then amply prepared and able to receive the crowning truth in the doctrine of God, the tri-unity of God. But this does not mean that there is no revelation concerning the tri-unity of God in the Old Testament. The facts are that this great truth is woven into the very warp and woof of the Old Testament Scriptures, except for the fact that it is not clearly seen because men are not sufficiently prepared to recognize it. The Hebrew word for God in the opening verse of Genesis is plural in number, though it is used with a singular verb. This occurs over and over again in the Old Testament. Notice the use of the word "us" in connection with the creation of man (Gen. 1:26), and his expulsion from the garden (Gen. 3:22). It would appear that the issues were so important that there was need for divine consultation in the Godhead. The answer to the critics of this doctrine is that the complete revelation of the tri-unity of God was given in deeds rather than words. Godly Jews believed in a God who dwelt in heaven. When Christ came, these very Jews recognized Him as God. The coming of the Holy Spirit on Pentecost was recognized as something different from the Father or from Christ, and when these men wrote the New Testament there was no conscious effort to formulate a doctrine of the tri-unity of God. All they did was to record what happened. "O the depths of the riches both of the wisdom and knowledge of God! how unsearchable are his judgments, and his ways past finding out" (Rom. 11:33). To seal this truth to each believer at the outset of his experience of salvation, he is baptized "into the name of the Father and of the Son and of the Holy Spirit" (Matt. 28:19), a trinity of divine persons all contributing to his salvation. "God, who at sundry times and in divers manners spake in time past unto the fathers by the prophets, Hath in these last days spoken unto us by his Son, whom he hath appointed heir of all things, by whom also he made the worlds; Who being the brightness of his glory, and the express image of his person, and upholding all things by the word of his power, when he had by himself purged our sins, sat down on the right hand of the Majesty on high; Being made so much better than the angels, as he hath by inheritance obtained a more excellent name than they." "But unto the Son he saith, Thy throne, O God, is for ever and ever: a sceptre of righteousness is the scepter of thy kingdom." "Therefore we ought to give the more earnest heed to the things which we have heard, lest at any time we should let them slip. For if the word spoken by angels was stedfast, and every transgression and disobedience received a just recompense of reward; How shall we escape, if we neglect so great salvation; which at the first began to be spoken by the Lord, and was confirmed unto us by them that heard him;"
"And Simon Peter answered and said, Thou art the Christ, the Son of the living God. And Jesus answered and said unto him, Blessed art thou, Simon Barjona: for flesh and blood hath not revealed it unto thee, but my Father which is in heaven. And I say also unto thee, That thou art Peter, and upon this rock I will build my church; and the gates of hell shall not prevail against it." Deity of Christ affords strong assurance to all who trust Him. John 14:1-9 "Let not your heart be troubled: ye believe in God, believe also in me. In my Father's house are many mansions: if it were not so, I would have told you. I go to prepare a place for you. And if I go and prepare a place for you, I will come again, and receive you unto myself; that where I am, there ye may be also. And whither I go ye know, and the way ye know. Thomas saith unto him, Lord, we know not whither thou goest; and how can we know the way? Jesus saith unto him, I am the way, the truth, and the life: no man cometh unto the Father, but by me. If ye had known me, ye should have known my Father also: and from henceforth ye know him, and have seen him. Philip saith unto him, Lord, show us the Father, and it sufficeth us. Jesus saith unto him, Have I been so long time with you, and yet hast thou not known me, Philip? he that hath seen me hath seen the Father; and how sayest thou then, Show us the Father?" 1b. The Arian Theory: The Arian concept of Christ is that the Son of God did not always exist, but was created by—and is therefore distinct from—God the Father. This belief is a false interpretation of passages like that in the Gospel of John (14:28) passage: "You heard me say, 'I am going away and I am coming back to you.' If you loved me, you would be glad that I am going to the Father, for the Father is greater than I." 2b. The Socinian Theory: The Soccinis, rejected the pre-existence of Christ and held that Jesus Christ did not exist until he was conceived of the virgin birth as a human being. This view had occurred before with the 4th century bishop Plotinus, but differed both from the mainline Protestant and Catholic views, which hold that the Logos referred to in the Gospel of John was God, thus is uncreated and eternal. 3b. The Unitarian Theory: Unitarians believe that mainline Christianity does not adhere to strict monotheism but that they do by maintaining that Jesus was a great man and a prophet of God, perhaps even a supernatural being, but not God himself. They believe Jesus did not claim to be God and that his teachings did not suggest the existence of a triune God. Unitarians believe in the moral authority but not necessarily the divinity of Jesus. Their theology is thus opposed to the Trinitarian theology of other Christian denominations. The Building of the Church (Matt. 16:18) "And I say also unto thee, That thou art Peter, and upon this rock I will build my church; and the gates of hell shall not prevail against it." The Life of the Church (Matt. 28:20) "Teaching them to observe all things whatsoever I have commanded you: and, lo, I am with you alway, even unto the end of the world. Amen." Also in Christian Suffering: (Acts 7:59, Liddon 406-408) "And they stoned Stephen, calling upon God, and saying, Lord Jesus, receive my spirit." Also in Christian Testimony: (Phil. 4:13; 2 Tim. 1:12) "I can do all things through Christ which strengtheneth me." "For the which cause I also suffer these things: nevertheless I am not ashamed: for I know whom I have believed, and am persuaded that he is able to keep that which I have committed unto him against that day." What is the value of indirect evidence and testimony? 1. Luke 7:37-38, 44-48. Luke assumes our understanding that only God forgives sins. Therefore Jesus must be God! "And, behold, a woman in the city, which was a sinner, when she knew that Jesus sat at meat in the Pharisee's house, brought an alabaster box of ointment, And stood at his feet behind him weeping, and began to wash his feet with tears, and did wipe them with the hairs of her head, and kissed his feet, and anointed them with the ointment." 2. John 12:37-41. The words of verse 40 were written by Isaiah just after he saw Jehovah (Isa. 6:1, 10). But John says Isaiah saw Christ's glory (vs. 41), because he assumes. that the reader identifies the Jehovah of Isaiah 6 with Christ. "But though he had done so many miracles before them, yet they believed not on him: That the saying of Esaias the prophet might be fulfilled, which he spake, Lord, who hath believed our report? and to whom hath the arm of the Lord been revealed? Therefore they could not believe, because that Esaias said again, He hath blinded their eyes, and hardened their heart; that they should not see with their eyes, nor understand with their heart, and be converted, and I should heal them. These things said Esaias, when he saw his glory, and spake of him." 3. John 14:28. ("my Father is greater than I") "Ye have heard how I said unto you, I go away, and come again unto you. If ye loved me, ye would rejoice, because I said, I go unto the Father: for my Father is greater than I." If Jesus were not Himself God, how could He compare Himself with the Father? It would be both blasphemous and ridiculous for a mere finite creature to go about trying to convince others that the Father was greater than He was. The Creator/creature distinction is infinite and cannot be compared at all. Jesus is speaking of functional distinctions between the Persons of the triune Godhead, and this text (which Arians have appealed to for centuries) is exactly a proof text for the deity of Christ. 4. John 19:37 John’s quotation is from Zechariah 12:10. But the context of that passage (see 12:1) show that it was Jehovah that was pierced. Thus, Christ must be God. "And again another scripture saith, They shall look on him whom they pierced." 5. 1 Tim. 1:13 (Christ……… put me into the ministry, who was before a blasphemer). Paul is certainly not saying that before his conversion he went about speaking against Jehovah; but he did speak against Christ. Therefore, since he assumes the reader identifies Christ with Jehovah, he also assumes that words spoken against Christ are actually blasphemous. "Who was before a blasphemer, and a persecutor, and injurious: but I obtained mercy, because I did it ignorantly in unbelief." 6. Gal. 1:1 Paul, an apostle, not of men, neither by man, but by Jesus Christ. Paul contrasts Jesus Christ with mere men, which would only be valid if Christ were God. "Paul, an apostle, (not of men, neither by man, but by Jesus Christ, and God the Father, who raised him from the dead;)"
Matt. 5:31-34, 38-39 (cf. Matt. 7:28-29) "It hath been said, Whosoever shall put away his wife, let him give her a writing of divorcement: But I say unto you, That whosoever shall put away his wife, saving for the cause of fornication, causeth her to commit adultery: and whosoever shall marry her that is divorced committeth adultery. Again, ye have heard that it hath been said by them of old time, Thou shalt not forswear thyself, but shalt perform unto the Lord thine oaths: But I say unto you, Swear not at all; neither by heaven; for it is God's throne:" "And it came to pass, when Jesus had ended these sayings, the people were astonished at his doctrine: For He taught them as one having authority, and not as the scribes." Matt. 12:6 "But I say unto you, That in this place is One greater than the temple." Matt 12:8 "For the Son of man is Lord even of the Sabbath day." Matt. 16:19 "And I will give unto thee the keys of the kingdom of heaven: and whatsoever thou shalt bind on earth shall be bound in heaven: and whatsoever thou shalt loose on earth shall be loosed in heaven." John 17:3 "And this is life eternal, that they might know thee the only true God, and Jesus Christ, whom thou hast sent." John 21:15-22 "So when they had dined, Jesus saith to Simon Peter, Simon, son of Jonas, lovest thou me more than these? He saith unto him, Yea, Lord; thou knowest that I love thee. He saith unto him, Feed my lambs. He saith to him again the second time, Simon, son of Jonas, lovest thou me? He saith unto him, Yea, Lord; thou knowest that I love thee. He saith unto him, Feed my sheep. He saith unto him the third time, Simon, son of Jonas, lovest thou me? Peter was grieved because he said unto him the third time, Lovest thou me? And he said unto him, Lord, thou knowest all things; thou knowest that I love thee. Jesus saith unto him, Feed my sheep. Verily, verily, I say unto thee, When thou wast young, thou girdedst thyself, and walkedst whither thou wouldest: but when thou shalt be old, thou shalt stretch forth thy hands, and another shall gird thee, and carry thee whither thou wouldest not. This spake he, signifying by what death he should glorify God. And when he had spoken this, he saith unto him, Follow me. Then Peter, turning about, seeth the disciple whom Jesus loved following; which also leaned on his breast at supper, and said, Lord, which is he that betrayeth thee? Peter seeing him saith to Jesus, Lord, and what shall this man do? Jesus saith unto him, If I will that he tarry till I come, what is that to thee? follow thou me." Matt. 4:19 "And he saith unto them, Follow me, and I will make you fishers of men." Matt. 11:28 "Come unto me, all ye that labor and are heavy laden, and I will give you rest." The knowledge of God (Matt. 11:27) "All things are delivered unto me of my Father: and no man knoweth the Son, but the Father; neither knoweth any man the Father, save the Son, and he to whomsoever the Son will reveal him." The way to God (John 14:6) "Jesus saith unto him, I am the way, the truth, and the life: no man cometh unto the Father, but by me." The door to salvation (John 10:7-9) "Then said Jesus unto them again, Verily, verily, I say unto you, I am the door of the sheep. All that ever came before me are thieves and robbers: but the sheep did not hear them. I am the door: by me if any man enter in, he shall be saved, and shall go in and out, and find pasture." Light for the soul (John 8:12) "Then spake Jesus again unto them, saying, I am the light of the world: he that followeth me shall not walk in darkness, but shall have the light of life." The water of life (John 7:37) "In the last day, that great day of the feast, Jesus stood and cried, saying, If any man thirst, let him come unto me, and drink." The bread of God (John 6:35, 51) "And Jesus said unto them, I am the bread of life: he that cometh to me shall never hunger; and he that believeth on me shall never thirst." "I am the living bread which came down from heaven: if any man eat of this bread, he shall live for ever: and the bread that I will give is my flesh, which I will give for the life of the world." Rest for the soul (Matt. 11:28-29) "Come unto me, all ye that labor and are heavy laden, and I will give you rest. Take my yoke upon you, and learn of me; for I am meek and lowly in heart: and ye shall find rest unto your souls." Spiritual guidance (John 10:11) "I am the good shepherd: the good shepherd giveth his life for the sheep." Security from danger (John 10:28-30) "And I give unto them eternal life; and they shall never perish, neither shall any man pluck them out of my hand. My Father, which gave them me, is greater than all; and no man is able to pluck them out of my Father's hand. I and my Father are one." Fruitbearing energy (John 15:5) "I am the vine, ye are the branches: He that abideth in me, and I in him, the same bringeth forth much fruit: for without me ye can do nothing." Life and Resurrection (John 11:25-26) "Jesus said unto her, I am the resurrection, and the life: he that believeth in me, though he were dead, yet shall he live: And whosoever liveth and believeth in me shall never die. Believest thou this?"